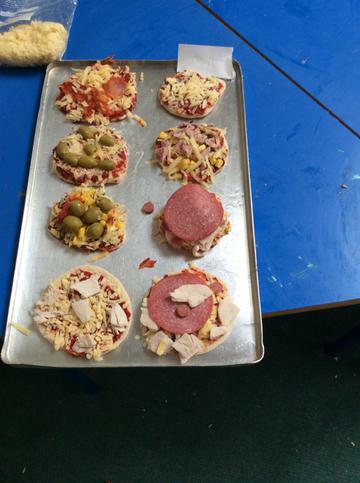 Pizza day! 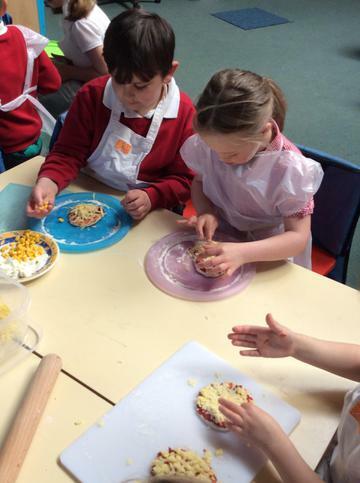 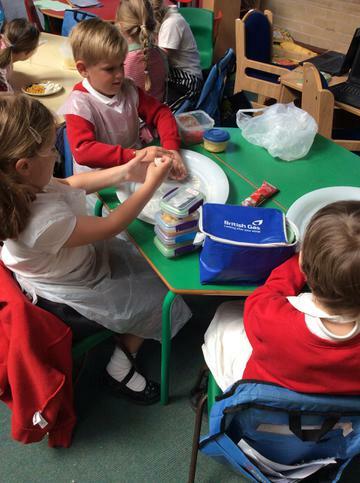 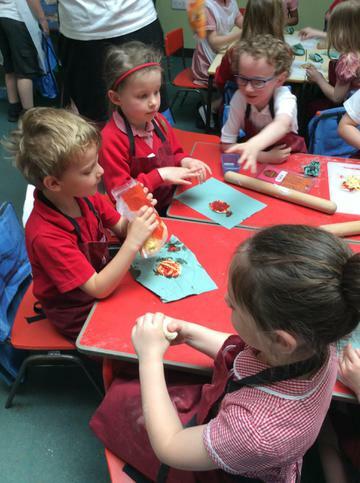 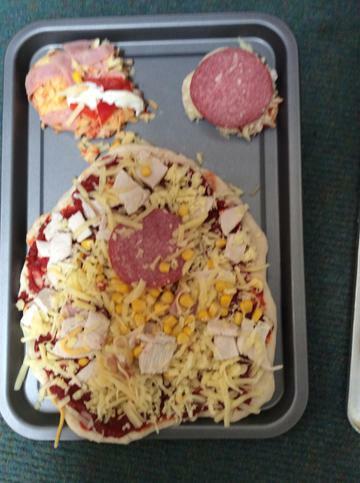 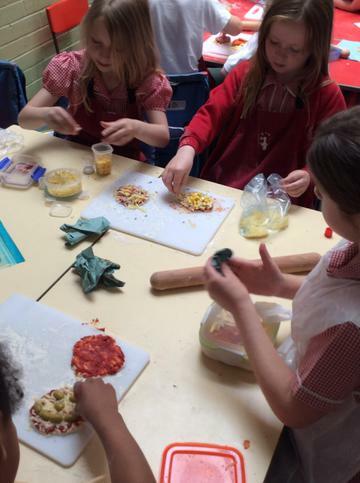 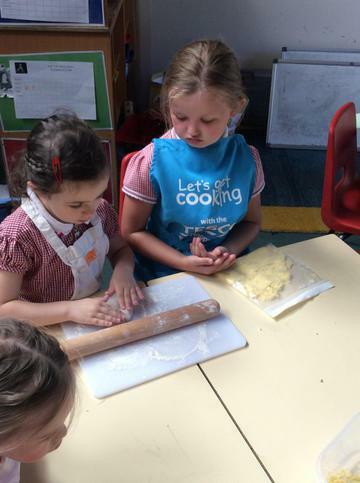 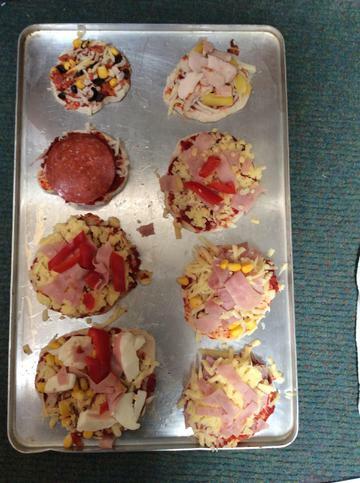 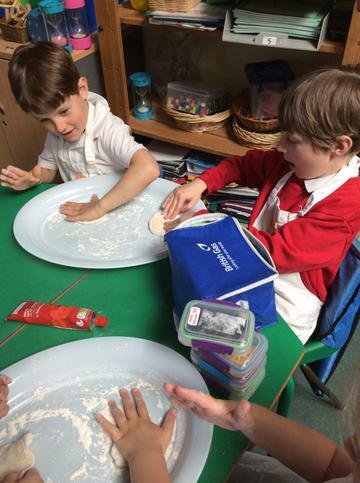 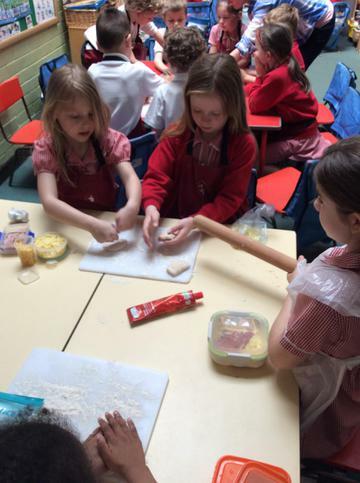 We measured and mixed and created wonderful pizzas to go into our newly designed boxes. 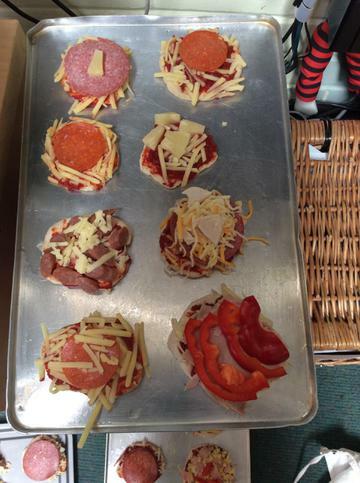 We have been making our own pizza boxes using a net design. 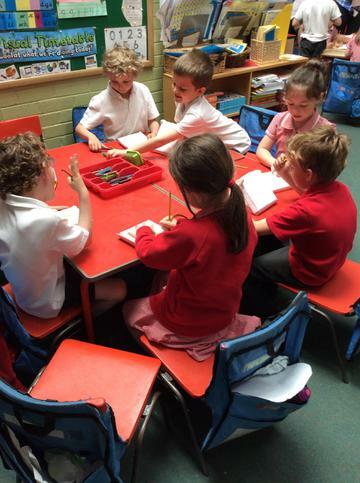 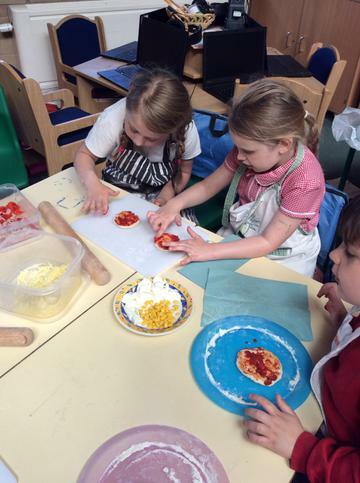 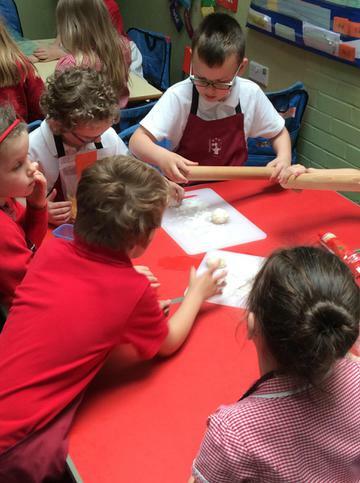 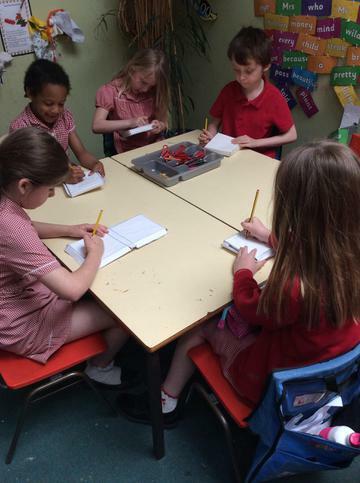 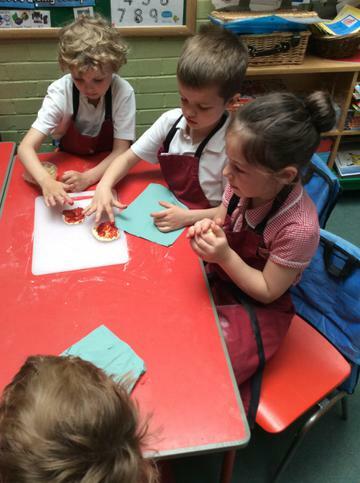 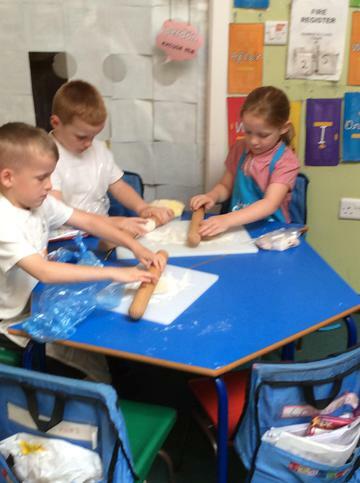 We have been investigating different types of pizza. 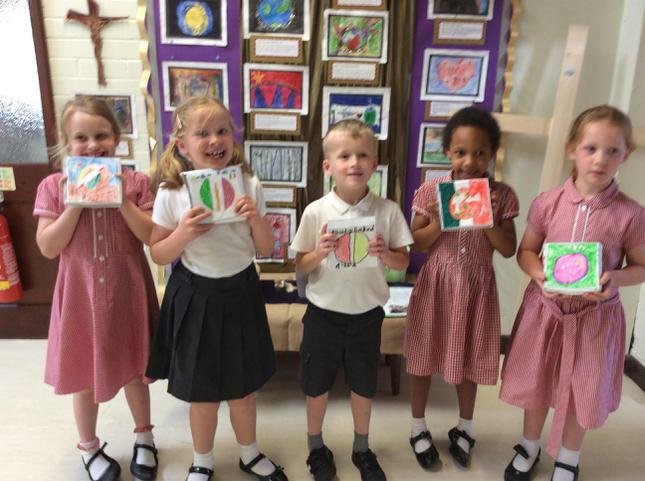 We designed and made our own Tudor houses.